Hand carved using knives and axes these unique kitchen utensils make a great present for the cook in your life. Made from sycamore they will not stain or taint your food, and unlike many shop bought spatulas that are made from species such as bamboo these have been handmade in Hampshire. 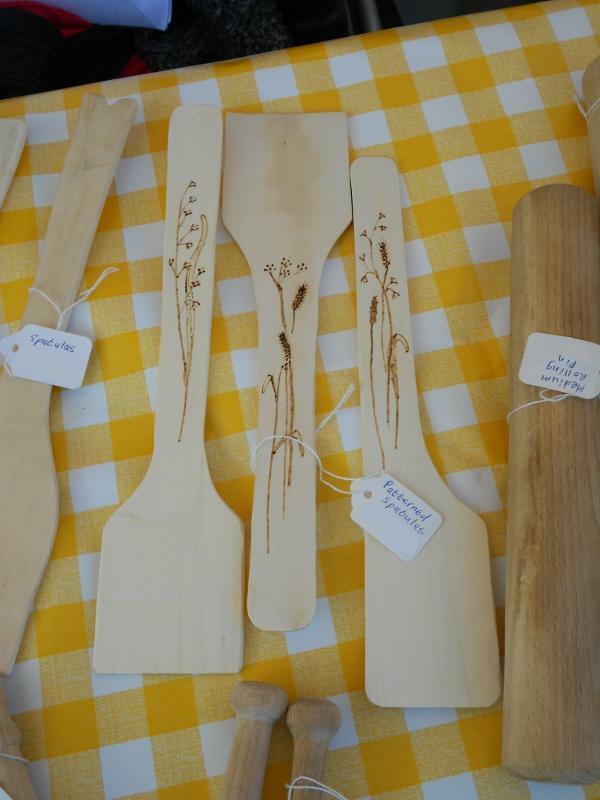 We are now able to offer decorated spatulas for a small extra cost. Decorated using pyrography (burning) the images applied to our spatulas will not fade.